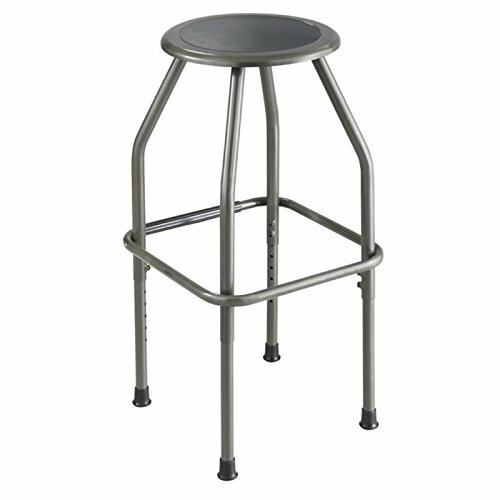 Pemberly Row's Adjustable-Height steel stool features a steel frame and pewter finish with an adjustable seat height from 23" to 30". The office stool is ideally suited for workbench and work table use in the industrial, institutional and educational industries. The steel stool's durable rubber feet protect floors. Some assembly required.